Starting out as a mastic contractor in 1971 known nationwide as County Mastics and progressing into distribution 10 years later with a sister company which is County Construction Chemicals Ltd. then branching out to internet sales 6 years ago with our e-shop Sealants Online, we have over 45 years of waterproofing experience. In this day and age, it's not something that happens by luck or by chance and as a friendly, family-run business, this is a landmark we're very proud of! We're now one of the UK's largest independant suppliers of high quality building and waterproofing materials, specialising in mastic joint sealants. We have a long-standing reputation for providing only the highest quality, proven materials from the most trusted names in the business, we have not, and will not compromise on the high standard we deliver and continuously strive to advance with the ever-changing market, to bring you the very best materials in a helpful and professional manner. 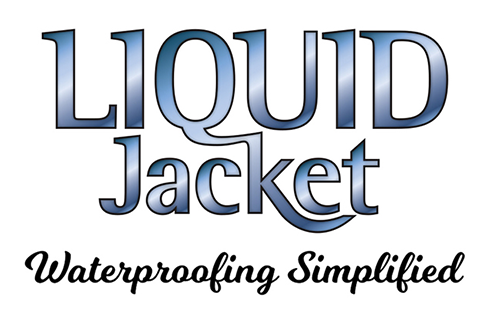 With our great reputation, experience and vast knowledge of the waterproofing industry, we thought it was about time we had our own brand, hence we're proud to introduce,,, LIQUID JACKET©A simplified approach to waterproofing and sealing both internally & externally. 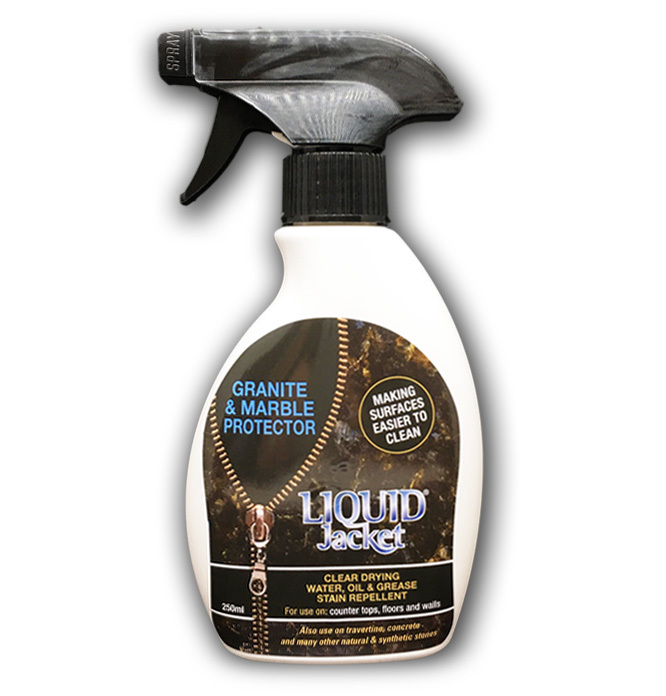 Liquid Jacket Granite & Marble Protector has been specially developed to seal and protect natural and synthetic stone. It offers both water and oil repellency. Oil, grease, paint, dirt etc. are easier to remove from surfaces that have been treated with Liquid Jacket Marble & Stone Protector. It is not hazardous and free from solvents. Can be used both internally and externally for treatments of floors, counter tops, window sills, walls, on low porosity natural and synthetic stone e.g marble, granite, travertine, concrete or fibrous cement. 1. Ensure surfaces to be treated are clean and free from mould, fungal growth, waxes or coatings. 2. Surfaces should be air dry and absorbent. 3. Spray liberally, and then spread evenly with a sponge. 4. Allow solution to absorb into surface for 30 minutes then use a damp cloth to wipe away excess. 5. Only one coat is required. 6. Allow to dry for approx. 5-7 hours. 7. Surfaces contaminated with oil, grease or paint should be cleaned at once before penetration occurs. 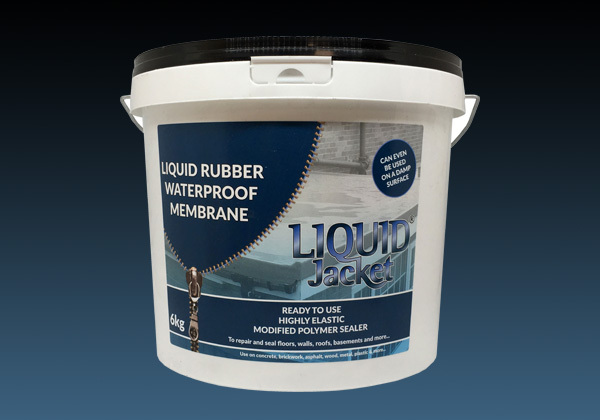 LLiquid Jacket Rubber Waterproof Membrane is a ready to use, highly elastic, modified polymer sealer that can be applied in dry and damp conditions. 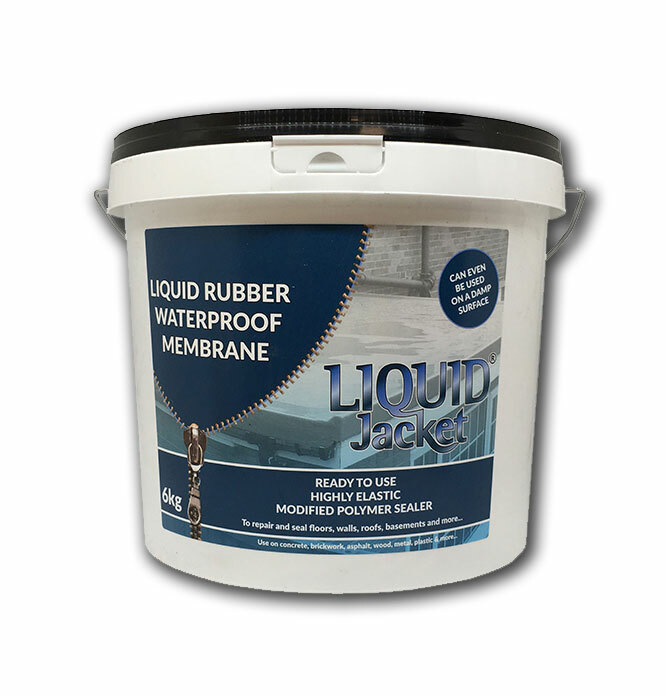 Supplied as a one-part, ready-to-use thick liquid, it can be applied by brush, trowel, squeeqee, scraper or spatula, this highly versatile rubber membrane instantly waterproofs practically anything and is especially useful for sealing, repairing, coating and waterpoofing walls, roofs and floors, new and old! 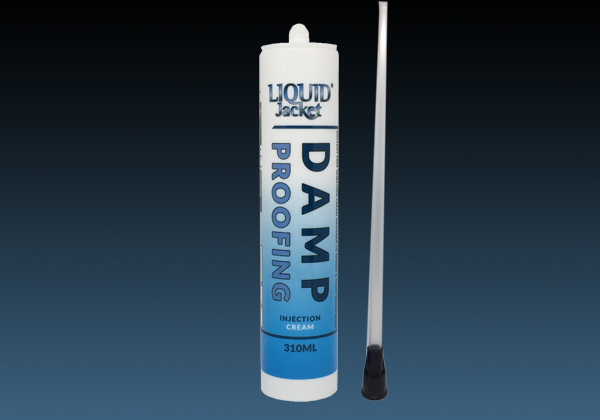 Get some quick answers to some common queries regarding the LIQUID JACKET range of products. What is the granite & marble protector used for? 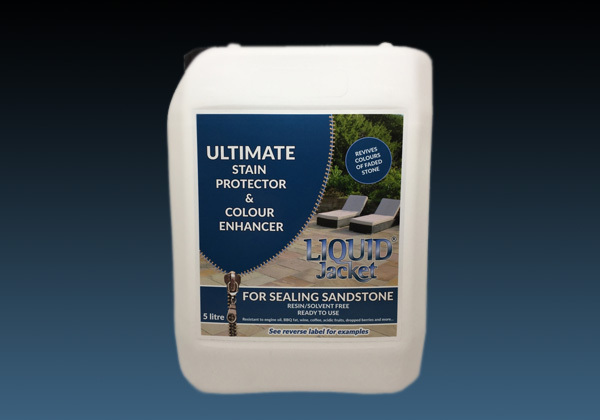 As the name states, this product is a spray-on protector for popular stone surfaces such as granite, marble, travertine, concrete and other natural & synthetic stones. What liquids will the granite & marble protector protect against? This product has been specially developed to repel both water and oil based liquids. Should staining occur on the surface after application, from grease, paint or dirt etc. the surface will be much easier to clean! Can Granite & Marble Protector be applied to non-porous or previously sealed surfaces? granite & marble protector will only work where it can penetrate into the surface. It should NOT be applied to non-porous surfaces, painted surfaces or previously treated silicone-based seals. Is Granite & Marble Protector hazardous and/or solvented? Granite & Marble Protector is NON-HAZARDOUS and FREE FROM SOLVENTS, however, caution should always be followed when spraying the product, avoid inhalation of spray and do not ingest. Keep out of reach of children! Can Granite & Marble Protector be used to protect outdoor marble and stone surfaces as well as indoors? Yes, Granite & Marble Protector works just as well to protect external marble and stone as it does for internal surfaces. Buy Liquid Jacket waterproofing products and other high quality mastic joint sealants, concrete repair and wood repair products quickly and easily from our secure web shop. All our company information is on our main website. Read about our history and get any extra information you require. A micro site with lots of information about our own brand 3C SEALANTS. This exciting selection of mastic sealants will evolve and grow in the future. A micro site with lots of information about the popular, industry standard block paving & patio paving sealer range from manufacturers RESIBLOCK LTD.
A franchise of the ever-popular, class-leading, wood repair system, manufactured by REPAIRCARE INTERNATIONAL that we keep a full range of stock. A micro site with lots of information for the popular, premium quality OTTOSEAL mastic sealants manufactured by manufacturers OTTO CHEMIE. Here we have some testimonials from users of the LIQUID JACKET range.